The choir of the Pafos Music Group, conducted by Sotiris Karagiorgis and the choir of Aris Limassol, conducted by Solon Kladas, present this masterpiece of Byzantine hymns with music by Christos Leontis. Leontis is a significant Greek composer and has based this work on Byzantine and folk music, whilst incorporating eastern elements and contemporary music. The event is part of the series of event titled: Music at the Threshold, which includes two other concerts linked by the particularities of the countries where they will be held, promoting the general co-existence between historical periods, cultures and traditions which (at first) seem to have nothing in common, but music is the link between them. The inspiration for these events is drawn from the routes followed by Kings, Apostles, conquerors and others who left their mark on Pafos. The stages will be set at the temple of Agia Kyriaki, the pillar of St. Paul and the grave of the Danish King Eric I (also known as Eric the Good), connecting the past to the present and the modern travellers to those who have passed by and left their traces in Pafos. Presentation by Terue Yamauchi and discussion with the public on Wednesday 5 April 2017, at 19:00. Due to her in-depth research, the artist Terue Yamauchi focuses on man’s relationship with the sea. The co-existence of the two protagonists is presented in this exhibition through video, photographs and installations created in Japan, South Korea and the Philippines. During the presentation of her work, Terue Yamauchi will offer discussions with the audience. Curator: Chiaki Kamikawa. This partnership of high artistic value between the Nicosia Municipality Arts Centre (NiMAC), the Pierides Foundation and Pafos2017 uses contemporary art as the link between Cyprus (Nicosia and Pafos) and Germany (Leipzig) where another version of the same exhibition will take place at Halle 14, the independent art centre. This exhibition focuses on the Mediterranean as a unifying agent in European history and presents how contemporary artists approach issues related to socio-politics, culture and economy, the relationship between East and West and Europe’s role in the current economic, political, religious, social and deeply existential crisis we go through. In Pafos, there will also be a presentation of installations in historical and archaeological sites, as well as a publication with works by historians, curators and artists about the cultural links between past and present. Participating artists: Chiharu Shiota (Japan), Paola Yacoub (Lebanon), Mona Marzouk (Egypt), Banu Cennetoğlu (Turkey), Christodoulos Panagiotou (Cyprus), Charis Epameinonda (Cyprus), Ana Adamović (Serbia), Elina Ioannou (Cyprus), Ran Slavin (Israel) and others. Partners from Europe and Cyprus in collaboration with the Limassol Dance Centre will connect contemporary dance and (urban) space with a series of events focusing on dance and its effect on society. A symposium for artists and scientists specialising on urban landscape as well as a series of shows in the city centre will round off the project. The events aim to present the choreography of the city itself. Giulia Galvan presents a work which will offer new insight on unseen, unexplored and new spaces. Codex Cyprus is a collection of secular and religious works by an unknown artist dating around the year 1413 AD. It is one of the few medieval manuscripts of this kind of music admired across Europe for nearly 300 years. Per-Sonat will show us both the religious and the secular part, thus highlighting the similarities between text and music. The event is part of the series of event titled: Music at the Threshold, which includes two other concerts linked by the particularities of the countries where they will be held, promoting the general co-existence between historical periods, cultures and traditions which (at first) seem to have nothing in common, but music is the link between them. 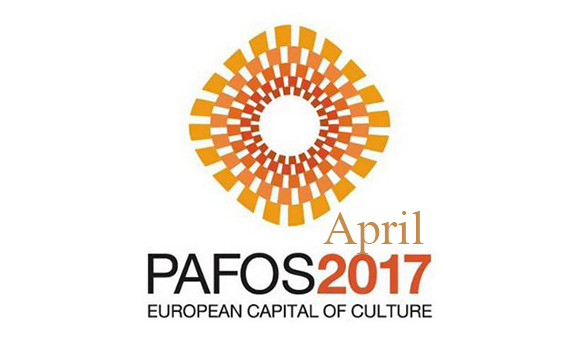 The inspiration for these events is drawn from the routes followed by Kings, Apostles, conquerors and others who left their mark on Pafos. The stages will be set at the temple of Agia Kyriaki, the pillar of St. Paul and the grave of the Danish King Eric I (also known as Eric the Good), connecting the past to the present and the modern travellers to those who have passed by and left their traces in Pafos.